I’m not waiting with bated breath for Mark Zuckerberg to call me, seeking wise counsel on how to spend the billions he has admirably committed, in honour of his daughter, to change the world. But if he was I would say two words to him: girls’ education. Two thirds of the world’s uneducated children are girls. Two thirds of the world’s illiterate adults are women. An estimated 31 million girls of primary school age and 32 million girls of lower secondary school age were out of school in 2013. Sub-Saharan Africa has the lowest proportion of countries with gender parity: only two out of 35 countries. And South and West Asia has the widest gender gap in its out-of-school population – 80 per cent of its out-of-school girls are unlikely to ever start school compared to 16 per cent of its out-of-school boys. Aside from being a basic right girls’ education is frequently identified as a means to achieving key development and poverty reduction goals, such as reducing early and forced child marriage, reducing maternal and child mortality, and breaking the transmission of poverty across generations. Education is also an effective protection against child labour: A few weeks ago I was in Ghana visiting agricultural communities there. The high level of child labour in such communities is enabled in significant part by the shortage of schools. But education is not a panacea. For example, keeping girls in school would certainly reduce child marriage. But a significant reason why girls are removed from school is so that they can be married off. Furthermore Lisa Rende Taylor’s research in Thailand has shown that increased educational attainment for girls can increase risks of trafficking into hazardous work as families seek a return on their investment into their daughters’ education. I have heard reports of similar outcomes for poor boys and girls in Ghana who, on leaving school go on the hazardous search for decent work. And too often education policy, much like the rest of development policy, fails to confront the challenges of social exclusion and discrimination in the struggle against poverty. These are most starkly illuminated in considering the realities of slavery in the world. 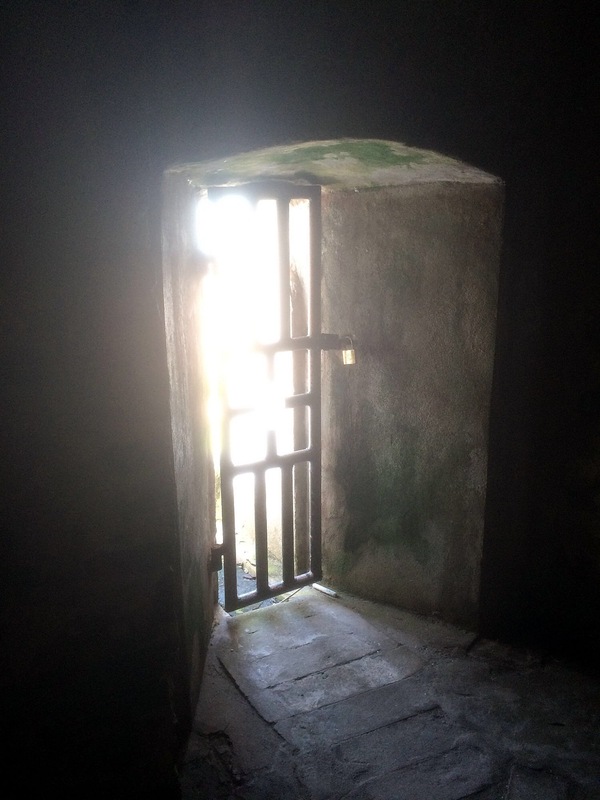 Denial to socially excluded groups of empowering educational opportunities allows for the maintenance of a population across the world who can be more easily enslaved. Given this, there is an urgent need in education policy for a much more concentrated focus on ensuring the inclusion of the children, particularly the daughters, of the enslaved as a means of breaking not only poverty but the transmission of slavery across generations. Private investment to break the bonds of discrimination and slavery by providing quality education to the socially excluded in states that continue to ignore the needs of the most vulnerable in their society would be an important measure against engrained prejudices. There are some donors and philanthropists who are doing this and other decent work on education. But the sheer vastness of Zuckerberg’s loot would allow him to engage with this issue not merely at the level of a funder of a few more schools: Such an approach would be great for the relatively few beneficiaries of those schools. But, no matter how brilliant those schools were, it would not, by itself, change the world. What would be transformative would be if Zuckerberg sought to engage governments and other key actors at the level of policy formulation and strategy implementation. To guard against potential negative outcomes there must be greater attention given not only to ensuring genuine universality in provision, but also to the quality and content of the education. There is a need for greater investment in teacher training, and guaranteeing the status, pay and conditions of teachers, particularly in remote locations where need will be highest. Curriculums should include not just reading, writing and arithmetic, but also a strong focus on human rights, in particular girls rights, to help erode the prejudices that permit human beings to devalue, exploit and enslave others. Furthermore health education, in particular sexual health, should be a core subject. And high quality vocational and entrepreneurial education should be part of the curriculum, so that kids can conceive of realistic strategies to work themselves out of poverty, beyond hazardous migration in search of scarce decent work. Zuckerberg would be taken particularly seriously in these conversations if he could offer matched funding or low interest loans to governments which produce credible plans for provision of this sort of primary and secondary education, including the key elements of human rights, and vocational and entrepreneurial skills, for all boys and girls of their countries. Undoubtedly all of this poses a vast challenge. But hopefully Zuckerberg will not be afflicted by a dearth of ambition at this stage in his career. Certainly there could be few finer ways to honour his own daughter than by endeavouring to end the waste, exploitation and enslavement of other girls through the provision of effective and empowering education for all. Patrick Leigh Fermor, legendary travel writer and Special Operations Executive officer, never published during his own lifetime this, his full account of the kidnap of General Kreipe in Crete in 1944. His junior SOE colleague Billy Moss did, with Leigh Fermor’s help. Ill Met by Moonlight was published in 1950 and made into a famous movie with Dirk Bogarde as Leigh Fermor. However as Roderick Bailey points out in his foreword to this book, Billy Moss did not speak Greek and the Kriepe kidnapping was his first clandestine operation. So his account lacked understanding and appreciation of the Greek partisans with whom he fought. Leigh Fermor’s account is therefore something of an apologia to pay proper tribute to the people upon whom he depended for his life during his years undercover in Crete. He notes towards the end of his account that, “There has been more than a hint in these pages of [the kindness and generosity of the Cretan people] and of that aspect of Cretan life which suddenly gives the phrase ‘Brotherhood in arms’ such meaning”. It is this, rather than a desire to convey a “boy’s-own” adventure, which seems at the heart of this account. It is an account that is marked by a remarkable joie de vivre in spite of the harsh circumstances he describes, and the constant threat of death under which he lived. As such it contrasts interestingly with Eric Newby’s similarly themed, but altogether more melancholic, account of his time being sheltered by an impoverished Italian rural population while on the run from the Germans: Love and War in the Appenines. 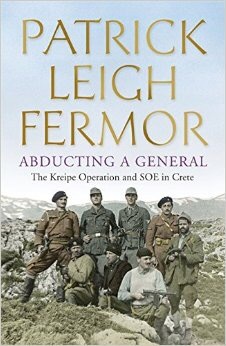 Leigh-Fermor conceived of the kidnapping of the German commander in Crete as a bloodless operation, to prevent German reprisals against Cretan civilians. Originally he aimed to kidnap the brutal General Muller, but this plan was thwarted with Muller’s transfer and replacement with General Kreipe. Leigh-Fermor went ahead with the plan anyway as a morale boosting exercise for the Cretan resistance, and to keep them distracted from shedding German blood and hence provoking fierce reprisals. He almost achieved his bloodless coup, though his Cretan comrades were at one point compelled to leave the poor driver who had been captured with the General in an unmarked grave. And some months after the operation the Germans conducted a series of brutal reprisals anyway, which may, or may not have been linked to the kidnapping. Given this, and the undertaking of the operation late in the war when Germany’s fate was all but decided the strategic value of the operation is open to question. But the courage and fortitude that it entailed is not, as Leigh Fermor’s account amply demonstrates. Abducting a General gives a fine insight into a little-known corner of the Second World War, prosecuted, in the main, by ordinary people at terrible cost.